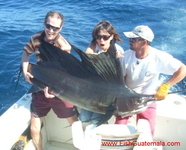 Parlama Sportfishing is located in Guatemala, home of the Worlds Greatest Sailfishing" Let us take you on the Trip of A Lifetime that you can afford every year. 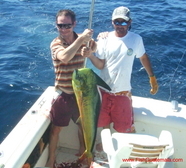 Parlama offers a wide choice of sport fishing options on both the Pacific coast and the Caribbean side of Guatemala. We have both luxury and economy options out of Marina Pez Vela in the Puerto Quetzal all weather port on the Pacific coast. Located one hour away from the international airport in Guatemala City this is home of some of the world’s greatest Sail Fish Concentrations.